November 29, 2010 December 3, 2010 by Brittany V.
Many people ask me why Vasseur Skincare’s anti-aging products do not contain retoinids. Below is a really informative excerpt from a WebMD article that discusses some of the potentially damaging side effects of using retinoids on the skin. This is an important read for anyone using or considering using retinoids and sheds light on why we as a company prefer using lactic and glycolic acids, copper peptide, idebenone, ester C and DMAE in our products. “For years, prescription retinoids (face medications like Retin-A, Renova, and Tazorac that contain the vitamin A derivative) have been assumed to be the best anti-aging products. Indeed, decades of clinical research show that they speed cell turnover to smooth wrinkles, fade sunspots, and build collagen. But now there are claims that they can also thin the skin and cause chronic inflammation (peeling, lobster-red faces), actually leading to premature aging. The issue is dividing the beauty world. While most experts agree that retinoids do produce quick results, many claim they might not be worth it. “Sure, your discolorations and lines might be getting a little better,” says Simon Erani, lead researcher for the skincare company Somme Institute, “but you’re not noticing how your skin looks papery and thin.” Erani believes any inflammation (detected in his subsurface skin photos of people who’d been using retinoids for at least eight weeks) will damage skin in the long run, which is why he’s excluded it from Somme’s formulations. In my 30 years in the skin care field, I have always preferred alpha hydroxyl acids in treating wrinkles, with lactic acid being my favorite because it does not thin or cause red, papery and flaky skin. Our Reveal 10 contains Lactic, Glycolic and Mandaic acids, which are much more gentle on your skin and work to reduce wrinkles, pigmentation and even adult acne. Other safe and effective anti-aging ingredients I prefer over retoinds are Idebenone and Ester C, Copper Peptides, and DMAE, all of which I use in my skin care and produce fabulous results without the damaging side effects. Wow — there is so much junk in commercial products! moved enough to post a commenta response 😉 I actually do have 2 questions for you if it’s okay. Could it be simply me or does it appear like some of the comments look like they are written by brain dead people? 😛 And, if you are posting on other online social sites, I would like to keep up with you. Could you make a list every one of all your community pages like your twitter feed, Facebook page or linkedin profile? Hi Allie — thanks for your comment. Here is a link to our facebook page: http://www.facebook.com/freshandageless and our twitter handle is @vasseurskincare. Thanks for reading!
. Superb .. I’ll bookmark your website and take the feeds also? I am happy to find so many helpful info right here in the submit, we want develop extra techniques in this regard, thanks for sharing. . . . . .
capital to claim that I get actually loved account your weblog posts. Anyway I will be subscribing in your feeds and even I achievement you get admission to constantly quickly. yet effective. A lot of times it’s difficult to get that “perfect balance” between superb usability and appearance. I must say you have done a amazing job with this. Also, the blog loads super quick for me on Chrome. Exceptional Blog! on blogs I stumbleupon on a daily basis. It’s always exciting to read articles from other authors and practice a little something from other web sites. desire?.I am attempting to find things to enhance my site! I suppose its good enough to use a few of your concepts!! What is the best foundation for oily skin but is also anti-aging?I have oily skin but I am also tiryng to fight wrinkles as I’m in my earlly 30s. Luckily I have never tanned so I am winning the fight so far, but I want to use whatever products I can to help. Any suggestions for a good foundation that will fight acne and aging? .. I’ll bookmark your blog and take the feeds additionally? I am happy to find so many useful information right here in the publish, we need work out extra strategies on this regard, thank you for sharing. . . . . . I definitely romcemend Arbonne. Their NutriMinC Re9 anti-aging skin care system for face is pure, safe, beneficial, result oriented, and made with 9 key anti aging elements proven to give a 68% decrease to deep density lines and wrinkles. 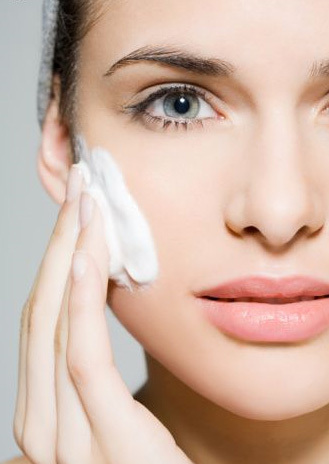 The reason that your products are not absorbing into your skin is due to mineral oil. It sits on the top layer of our skin like saran wrap and gives us little to no benefits. Arbonne’s products are all botanically based, pH correct, hypoallergenic, dermatologist tested, vegan friendly, and made without mineral oil, chemical fragrances, dyes, alcohol, or any other ingredients that cause irritation and dryness. This system is formulated with nanosphere technology so it’s made to match each person’s skin perfectly, even oily skin!If you would like more information or to learn anything more, feel free to email me and I’ll be happy to help you. for the people to go to see the website, that’s what this website is providing. whhoah this blog iss fantastic i love reading our posts. Hunde m眉ssen wirklich einiges 眉ber sich ergehen lassen: als Familienmitglied betrachtet, zur Arbeit eingesetzt, instrumentalisiert und Accessoire der menschlichen Selbstinszenierung, verh枚hnt und verspottet. Gleichzeitig sind sie sozialer Katalysator: Zahlreiche Studien belegen, dass Menschen mit Hund 枚fter gegr眉脽t bzw. angesprochen werden, als wenn sie ohne Hund spazieren gehen (ich pers枚nlich mache diese Studien t盲glich sozusagen am eigenen Leib), und wahrscheinlich gelten Hundebesitzer darum auch als kommunikativer. Query: Query gives you details on what keywords your site is currently ranked for. Search’ and ‘You – Tube Video Units’. Lush plantations rise from the sea and sweep the entire state in verdant glory. the greatest winter golfing destination in the US.